JOHANNESBURG – Food giants Tiger Brands and RCL Foods were hit on the JSE yesterday amid widespread concerns about reputational damage following the outbreak of deadly listeriosis, which has claimed more than180 lives across South Africa. Tiger Brands closed 7.44 percent lower at R393.38 a share on the JSE yesterday after the food-borne disease was traced to the group’s Enterprise Foods Frankfurters, smoked viennas and russians produced at its factory in Polokwane, Limpopo. 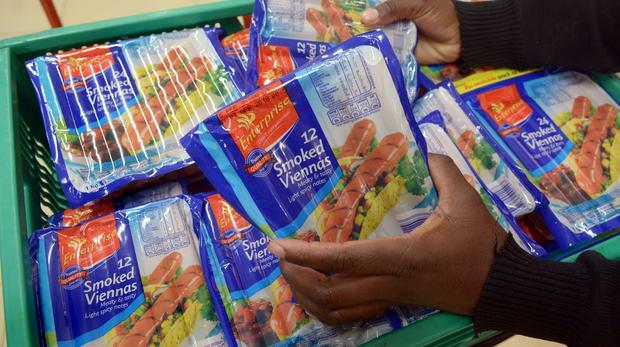 Neighbouring countries including Mozambique, Bo­tswana and Namibia yesterday announced a ban on all cold meats from South Africa ­following the listeriosis outbreak. Health Minister Aaron Motsoaledi said on Sunday that the source of the listeriosis was polony and other processed meat products from Tiger Brands’ Enterprise Foods factory in Polokwane. Tiger Brands recalled the processed meat products and also suspended its Germiston factory, while retailers, including Pick * Pay, Shoprite and Spar also removed the products from their shelves. Tiger Brands chief executive Lawrence MacDougall told journalists yesterday that the company was devastated about the outbreak, but took no responsibility for the deaths. “It is devastating that our products have been linked to this disease. We are leaving no stone unturned; we have brought in independent experts to get to the bottom of this,” MacDougall said. “There have been no direct links to any of the deaths from our products.”RCL Foods’ Wolwehoek factory in Sasolburg also tested positive for Listeria monocytogenes, but the specific strain of pathogen responsible for the outbreak had not been linked to the facility. RCL closed 0.52percent lower at R17.11 after it recalled its Rainbow branded polony products. Alec Abraham, a senior equity analyst at Johannesburg-based Sasfin, said yesterday that the weakening of the share prices was likely be sustained due to the listeriosis outbreak. “I do not think the share prices will bounce back quickly, because the listeriosis outbreak is likely to have an impact on costs on multiple levels. Firstly, the existing product needs to be taken off the shelves. “Secondly, Tiger Brands has taken additional measures to sanitise its facilities and has upgraded other facilities to avoid any contamination in future, which will add to costs. Thirdly, there is likely to be a consumer backlash on the products and, finally, potential damages that may have to be paid to victims’ families. We cannot be certain how long consumers will stay away from the products,” Abraham said. Motsoaledi said on Sunday afternoon that more than 16 environmental samples from the Enterprise Polokwane factory tested positive for the listeriosis monocytogenes strain ST 6. Together with the National Institute for Communicable Diseases, Motsoaledi said there were 948 laboratory-confirmed cases attributed to the food-borne disease, and a 27percent fatality rate. Damon Buss, at Cape Town-based Electus Fund Managers, said yesterday that although it was too early to quantify what the impact of the disease would be, given the tragic loss of more than 180 lives, the brand impact could be significant, especially if the company was found to have been negligent. “Consumers trust food manufacturers to ensure their products are safe for consumption. Removing the products from shelves is relatively easy, but getting people to realise the severity of the issue and remove the products from their homes is more challenging,” said Buss.